5372 West Lake Road, Mayville, NY.| MLS# R1101045 | Chautauqua Lake Real Estate Services. Informed, Professional Real Estate Information Serving Buyers and Sellers Interested in Lake Chautauqua Real Estate and Chautauqua County NY Real Estate. Rick and Julia McMahon Real Estate Advantage Since 1992. Beautiful Lakefront property. Whatever your pleasure, you'll find it here. Pilot your craft/boat, water ski, jet ski, snorkel, paddle a canoe/kayak, dive, fish, float, jog, cycle... 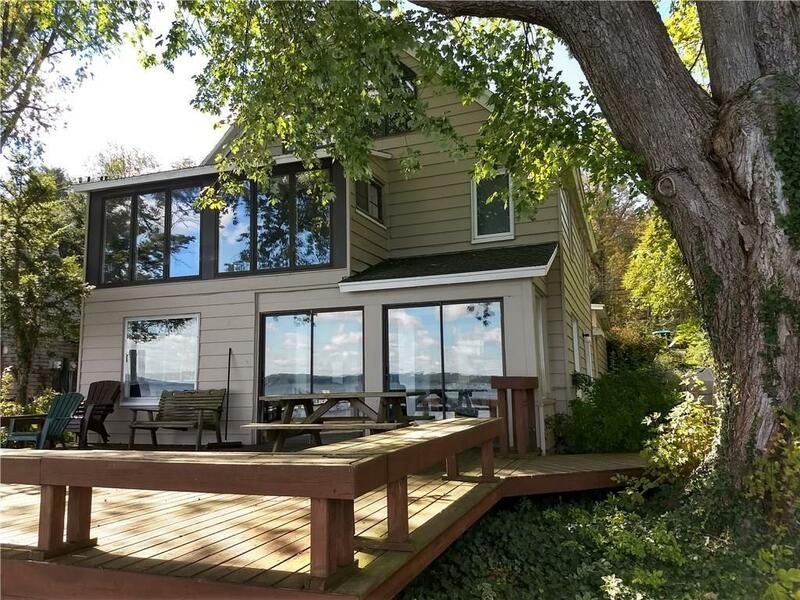 Located on the western shore of Chautauqua Lake in the upper basin, close to the Chautauqua Institute, golfing and Bemus Point, Expansive Deck on the lake side for waterfront entertaining. Fantastic views, includes the dock and furnishings are negotiable. Many recent improvements to interior, structure, exterior. Wonderful memories and lifelong friendships grow here!! Directions To Property: 394 To Mayville, Past Lighthouse Point But Before Chautauqua Suites Hotel.